Andrew Neeme has quickly established himself as one of the fastest growing poker vloggers on YouTube. YouTube has quickly emerged as one of the more popular mediums to consume poker content. Andrew Neeme has just as quickly grown to become one of the more popular poker YouTubers on the web. Neeme, a Las Vegas based professional poker player, started a vlog about four months ago, chronicling his journeys as a mid and high-stakes professional poker player. In that time span, his channel continued to grow and now has over 40,000 subscribers. By filming his mostly $2/$5 and $5/$10 No Limit Hold’em sessions, the Michigan State graduate tries to give the viewer a first person point of view into his experience at the table by filming his actual cards and chips. It was a tactic that helped grow his audience, but also got him in some hot water with some of the bigger Las Vegas casinos that he frequents. In newer episodes, Neeme moved away from filming at the actual table and instead films himself going over hands in a different location. The change in style hasn’t slowed his channel’s popularity, though. When he travels to California and plays in other card rooms, he films at the table without being challenged by management and he still provides insight into the hands that he plays. In the long run, however, Neeme thinks the Bellagio and others will change their stance on his filming. Aside from filming the action and providing insight, Neeme’s videography skills are above what most other vloggers are capable of. It’s no surprise that he drew inspiration for his own vlog from one of the most popular vlogs ever put on YouTube. 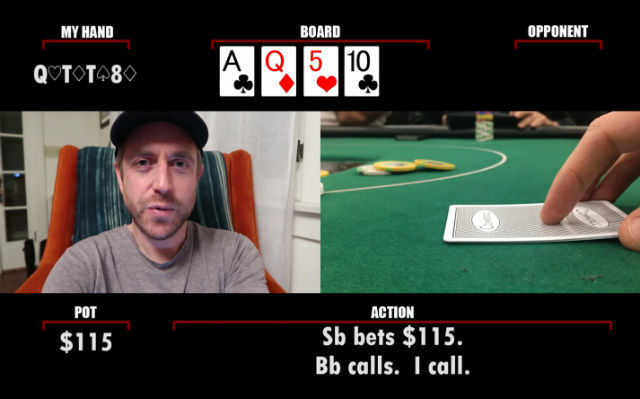 Neeme is new to the YouTube scene, but he is no stranger to the poker table. Neeme has been playing poker on a professional level for the last eight years. Those eight years as a professional left him wanting more fulfillment out of his life, which is what led him down the road of this vlog. In an effort to find some creativity in his life and get away from the grind, he started on his venture to film his own personal roller coaster as a pro. The decision to create the vlogs weren’t completely selfish. He wanted to fill a void in the way he felt poker was being communicated to the masses. “I felt like the way poker was being marketed to a mass audience was a little lacking,” said Neeme. “We have the big MTT event coverage like the WSOP and the WPT, which is exciting, and mostly well-done. And we still have nosebleed cash games and the Super High Roller Bowl from PokerCentral. But it’s also pretty far removed from the everyday experience of the vast majority of poker players in the world. The storytelling aspect is where Neeme differs from some other prominent poker YouTube channels. He tells a story that more players can relate to, while Doug Polk and Daniel Negreanu’s channel tend to be more focused on strategy. Subscribed to him without remembering when but diging his videos. Perfect to watch during lunch @ work, big ups.